The UK Court of Appeal recently ruled that an independent garage (Technosport London Limited) providing repair and maintenance services for BMW vehicles infringed on BMW’s trade marks (the BMW word mark, the BMW “roundel” and the “M logo”) by suggesting an alliance to the BMW brand through their advertising and online activity. The ruling confirms an earlier Irish High Court decision from 2013 which stated that Technosport London Limited’s use of BMW’s trade marks took unfair advantage of BMW’s distinctive trade marks as well as their reputation. The Court of Appeal found that the infringing activity occurred in the following locations: BMW’s registered trade marks on the interior & exterior of its business premises, “Technosport – BMW” on TLL’s vans and staff uniforms and “@Technosport BMW” as the company’s Twitter handle. The use by Technosport London Limited of BMW’s trade marks was found by the Court of Appeal to cause confusion amongst consumers as to whether the garage was commercially connected to BMW. 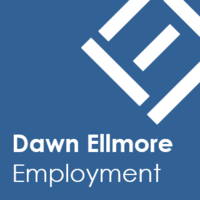 The Court of Appeal ruled that the use of BMW’s trade marks could have legally been used without trade mark infringement if the approach to advertising and online activity had followed a soley informative as apposed to misleading approach. The Court of Appeal qualified the advice by stating there would have been no objection to the slogan “The BMW specialists”. The clarity within the ruling regarding informative vs misleading use has been welcomed by commentators as useful guidance within the sector. 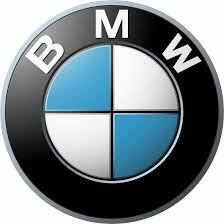 The UK Court of Appeal recently ruled that an independent garage (Technosport London Limited) providing repair and maintenance services for BMW vehicles infringed on BMW’s trade marks (the BMW word mark, the BMW "roundel" and the "M logo") by suggesting an alliance to the BMW brand through their advertising and online activity.